Here it is at last a big breath in the buzzing city of Toronto this week-end. I was down to Niagara-on-the-lake region recently doing some research for biodynamic wineries I’m planning to visit soon. So great were the different meetings that I could already fix some approximate dates for a future longer stay with the wine makers I could talk with (Southbrook vineyard and Feast of fields). We chatted a lot about the techniques they were using on their vineyards but what retained my attention the most was the upcoming organic and biodynamic wine tasting event inside the Green living show in Toronto the week-end to come. A good opportunity to meet great wine-makers from all over the world following these principles. 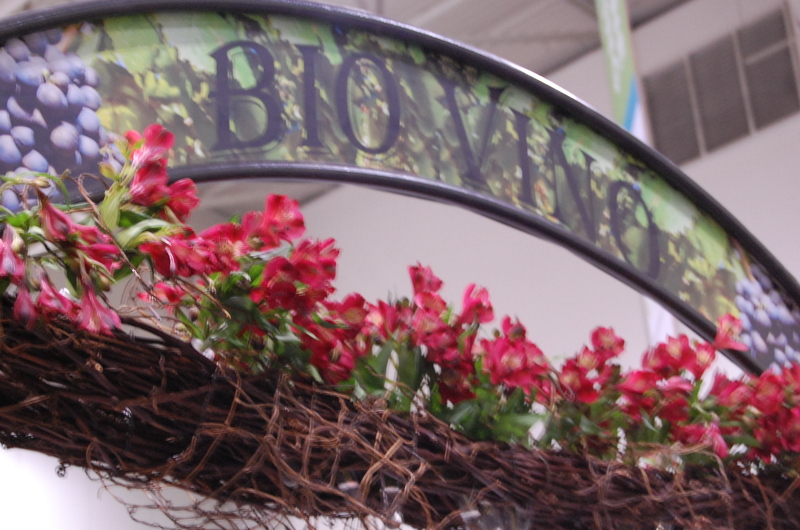 They were around forty wine-makers programmed at this Biovino wine tasting. 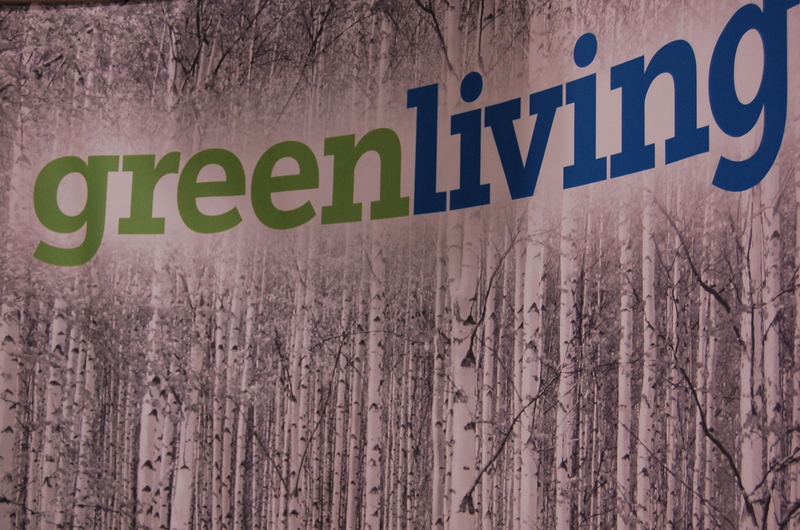 The Green living show is about all the alternatives from eco-building to technologies using wind or solar energies. It is promoting also organic food and sustainable way of living. Thanks to Southbrook vineyards, I could get in touch with the organiser of Biovino wine-tasting Mark Cuff and enter the tasting at the last minute. There, I could meet Virginie Joly who I hadn’t seen for more than a year. Great to see her here in Toronto. Last time we met, it was in France in February 2009 at La Coulée de Serrant vineyards in Loire region. Exhausted from the jet-lag, she told me that her father Nicolas couldn’t make it to Toronto. All together, twelve of the wine-makers couldn’t come to this event for different reasons, but mainly because of the cloud of volcano ashes floating in the air beside europe. My priorities there were to make contacts with the wineries I’m planning to visit in Canada and USA in the next coming months. So I could meet either the representant or the wine-makers themselves from Ceago and Robert Sinskey wineries from California, and Tawes, Southbrook, Clos Jordanne, Frog pond farm, and Stratus vineyards from Canada. Some interesting visits ahead in perspectives. It was also the opportunity for me to unpack my bags and to let try some of the wines I brought from France from Les Griottes (Anjou, Loire). This domain I’ve talked about in the french version of the blog doesn’t use any added sulfur in their wines. Everything is made by hand: from the harvest to the bottling. Pat and Babass are as incredibles as their wines. This is the purest expression you can get from the grapes: indigenous yeasts, slow fermentations, no filtrations, no added sulfur. This gives you true living wines with an amazing heart-filling capacity. 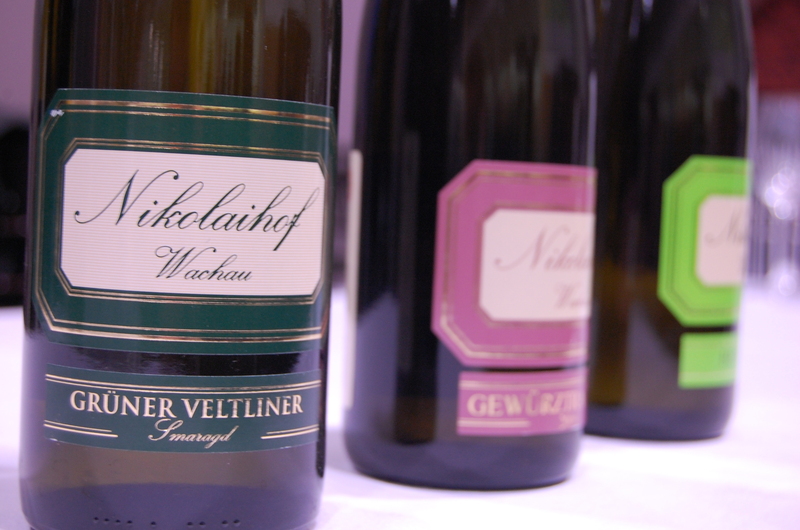 Joyful, talkative and nutritous, these wines are not for the too serious (should I say boring?) taster who is after the perfect wine without life within and so little things to say. These wines really talk to you, as they are an expression of the winemakers and the soil who made them come alive . The different cuvées La p’tite Gâterie (pineau d’Aunis, grolleau, and gamay), La Griotte (cabernet sauvignon, cabernet franc), and Moussaillon (a sparkling méthode ancestrale made of chenin, chardonnay and sauvignon blanc) have made Mark from The Living Vine and his colleagues from Le sommelier Inc more curiuous about them . Authenticity is the word which could fit well for this tasting. After one week in Canada, the satisfaction to have been at the rightplace at the right time is there. There will be more on the biodynamic wine world to come soon when I’ll be in the Niagara region again. But for now, I’m heading next to SaugeenriverCSA, a biodynamic mixed farm situated in the Grey Bruce county of South Ontario, to deepen my knowledge by practicing biodynamy beside Cory Eichman.